We moved to a new park farther down in Florida, near the middle of the peninsula between the Gulf and the Atlantic. It’s at a place called Salt Springs. But no, the springs don’t pump out salt water. Some of the springs put out chemicals that leave deposits that look like salt, ergo the name. 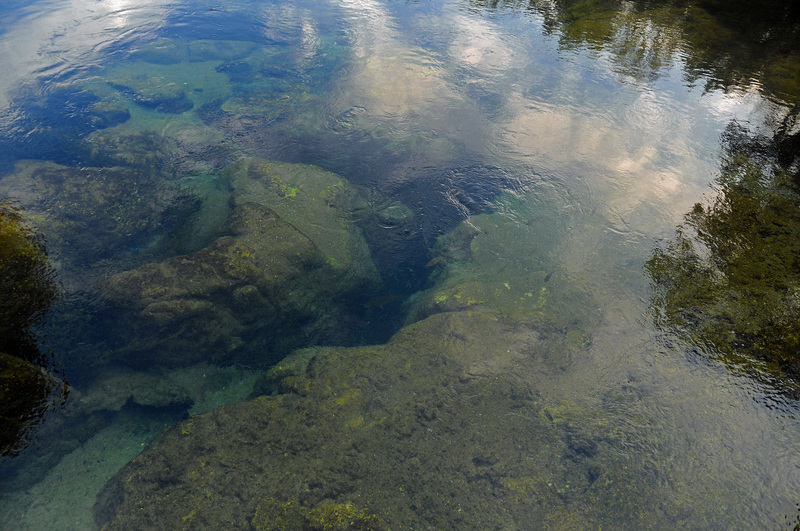 But there’s more to these springs. They put out water that is warmer than typical groundwater, so they’re called boils. But no, the water isn’t that hot: about 72 degrees. A lagoon at our park has three boils near land and several more farther out. They can be seen by the smooth circle of water from each outflow, although they are difficult to photograph! This photo looks down into one of them. Cool park, well, as cool as Florida can be…. Naw, it really has been a nice temp, but it also has just been a cool place. 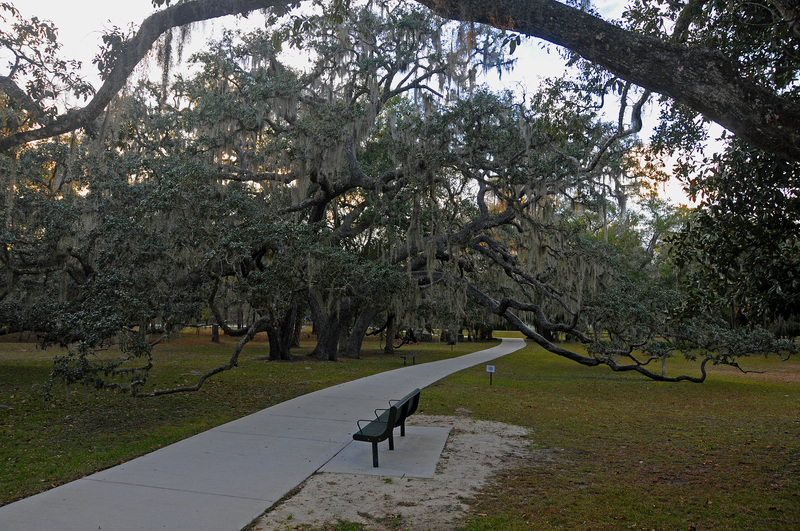 The huge live oak trees and all the greenery they support. The palm trees everywhere. Lovely shaded walkways everywhere, especially down to the lagoon and lake. And all that Spanish moss hangin everywhere. I’m such a sucker for it…..